Pro WPF with C# 2008: Windows Presentation Foundation in .NET 3.5* by Matthew MacDonald. Windows Presentation Foundation Unleashed by Adam Nathan. Windows Forms 2.0 Programming* by Chris Sells and Michael Weinhardt. The “reference” for Windows Forms 2.0 programming. 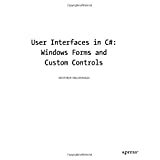 .NET 2.0 Windows Forms and Custom Controls in C# by Matthew MacDonald. Windows Forms Programming in C# by Chris Sells. The “reference” for Windows Forms programming. Professional MFC With Visual C++ 6 by Mike Blaszczak. The MFC Answer Book by Eugene Kain. Programming Microsoft Visual C++ by David Kruglinski, George Shepherd and Scot Wingo. MFC Internals by George Shepherd and Scot Wingo. Sniff… I had to stop my own version for Wrox when this one shipped… I have to admit that it would have been useless due to the high quality of “MFC Internals” content. Visual C++ 4 How-To: The Definitive MFC Problem Solver by Scott Stanfield and Ralph Arvesen. 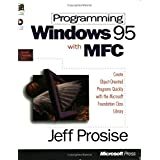 Programming Windows 95 with MFC by Jeff Prosise. The “reference” for MFC programming. Programming the Windows 95 User Interface by Nancy Cluts.